Boy Better Know’s JME steps back in the limelight with this solo effort. His album Famous? cemented his place in Grime, however not much was heard since apart from a verse on the Boy Better Know summer anthem ‘Too Many Man’, that verse was not enough to satisfy JME fans and so he returns with Over Me, produced by Deeco, this synth-heavy track provides JME with a lyrical playground for his unique wordplay, it is pretty much what you would expect from JME, but that is a good thing, as JME stands aside for being innovative and diverse, which has allowed other artists to make similar transitions in the name of music. JME fans are going to love Over Me, the video (A debut from Digital Dropout) puts JME in character mode, keeping ‘Over’ under as he uses his superhero attributes to defeat them, metaphorically matching his lyrics, it is entertaining and that is something JME brings to the table, his personality and music combined has helped create a versatile artist, one who is not afraid to be himself. 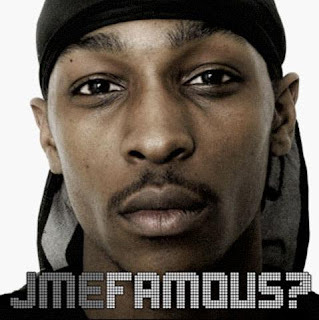 I hope this is a sign of more to come from JME as his last album ‘Famous?’ was a good effort from the Boy Better Know CEO.